Woodcarving. Wooden gifts end souvenirs. 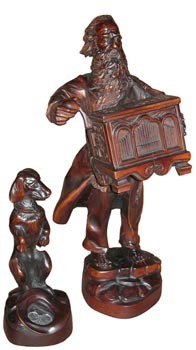 The wooden sculpture. Viktor Kaut’s Gallery. The wooden gifts end souvenirs. 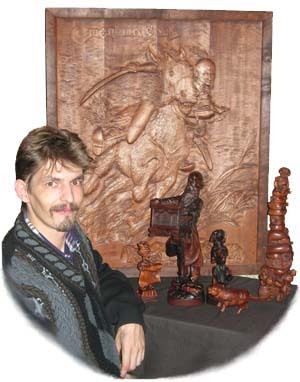 I, Victor Kaut, was born in 1971 in the east of Ukraine in the city of Voroshilovgrad, nowadays the city of Lugansk. I have finished art school, a class of painting. I had an experience with art castings. Last eight years I am engaged in volumetric woodcarving. I specialize on manufacture of a wooden souvenir, a gifts for elite and vip, a business souvenirs in traditions of the Ukrainian national crafts. 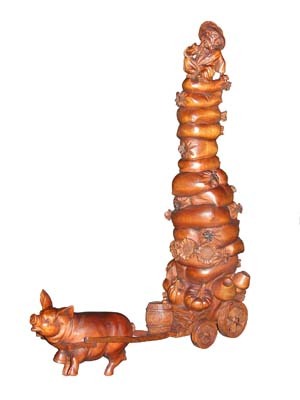 You can get or order any the Wooden sculpture, which are found in gallery. You may present for your relatives a vip souvenirs, original and exclusive gifts.